Hey Girls, It’s me Daniela. Sit down, grab a cup of coffee or tea and let’s talk all things PINK. Having the ability to have access to many resources, medicines and technology I believe that now a days, it is extremely important to get checked regularly. For me and for the rest I know the word CANCER is scary and you automatically relate it to DEATH, but I believe that to be utterly and completely wrong. My whole entire life I have been surrounded by beautiful, strong and independent women who have become my role model and have proven me that us women are “ BERRACAS” as JETLAGMODE’S founder would say; which means brave and courageous in Spanish. We are all fighters in our own beautiful and unique way. I bet you all have an amazing tribe and support system such as your friends and family who want nothing but the best for you, so go get CHECKED and make sure your friends are ok. Fashion and beauty have always taken a big part in helping raise awareness for breast cancer, organizations such as BECCA makeup, Kendra Scott, Ralph Lauren, Stella McCartney, and now us at JETLAGMODE are joining to help this incredible cause. 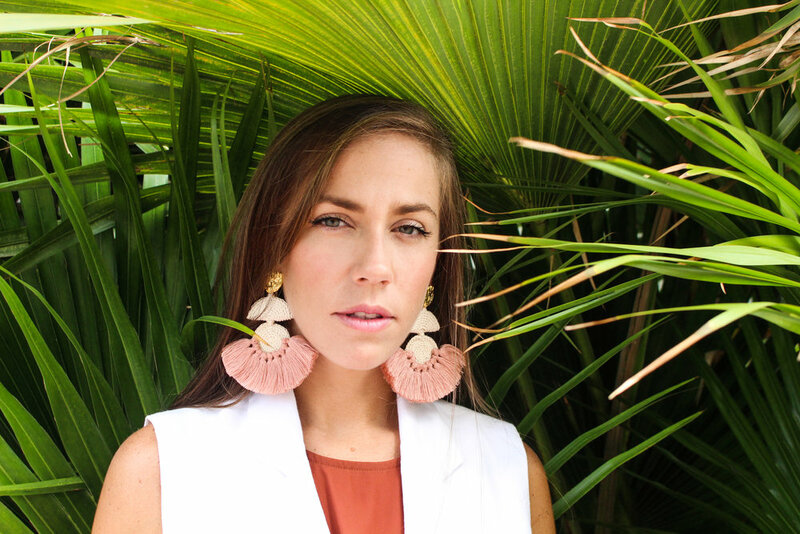 By purchasing ones our spectacular handmade “Salsa Dancer” earrings made with sustainable materials you are encouraging a sister, a friend or a loved one to get their monthly checkups! 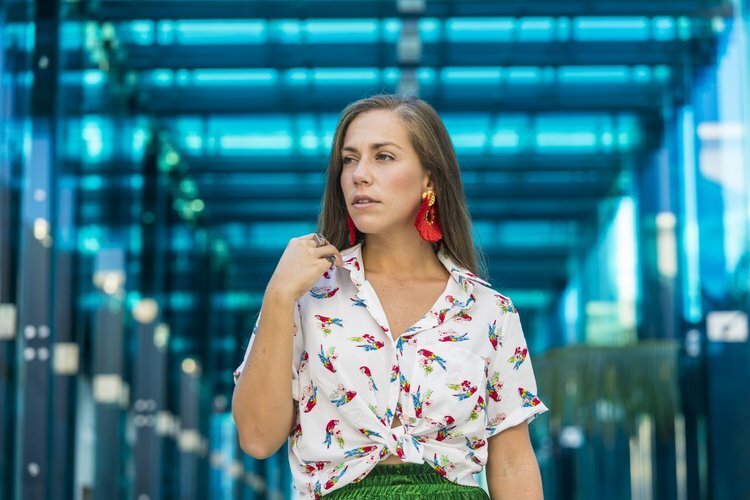 Not only a percentage of the sales are being donated, but here you can see another example of how great women do when we join forces, with Caro our gorgeous founder we’ve helped you style these “Salsa Dancers”, now it’s time to take them out for a dance! Let's walk around NYC... Let's see a few beautiful places wile wearing your Broken Column Necklace! Vamos a caminar alrededor de NYC... Veamos un par de lugares hermosos mientras lucimos nuestro espectacular collar Broken Column! 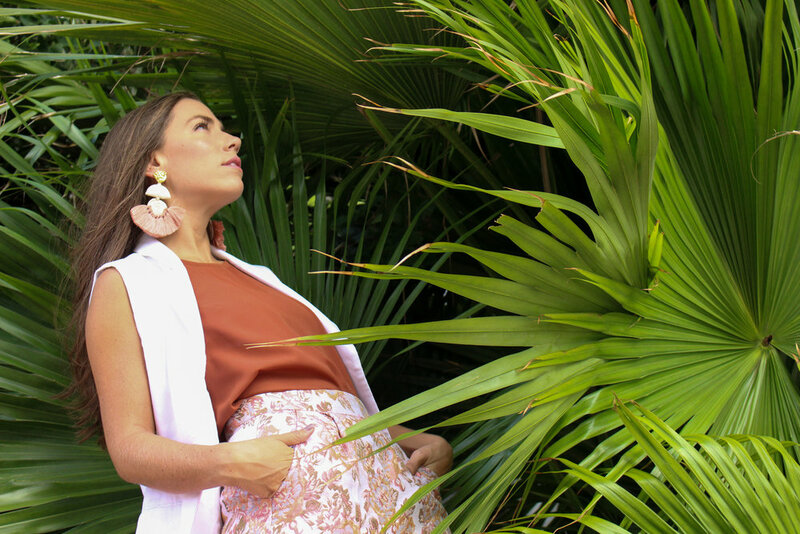 Broken Column Collection has been made in Colombia and Guatemala with authentic local materials and developed by talented local hands, generating new jobs for an amazing group of artisans, single-mothers; women that have earned my admiration and today are part of the JETLAGMODE team. JETLAGLOVE is a project created with love that seeks to contribute a bit to the lives of kids with needs in Colombia and Guatemala, these wonderful countries that JETLAGMODE has fallen in love with and now has the great opportunity to help. La colección Broken Column ha sido creada en Colombia y Guatemala con materiales locales, auténticos, y fabricada gracias a las talentosas manos indigenas. Generando así nuevos empleos para un increíble grupo de artesanas, madres solteras; mujeres que se han ganado mi admiración y hoy son parte del equipo JETLAGMODE . JETLAGLOVE es un proyecto creado con el amor que busca contribuir un poco a la vida de los niños con necesidades en Colombia y Guatemala , países maravillosos de los que JETLAGMODE ha enamorado y ahora tiene la gran oportunidad de ayudar . Gracias por hacer esto posible , tu también estás ayudando! 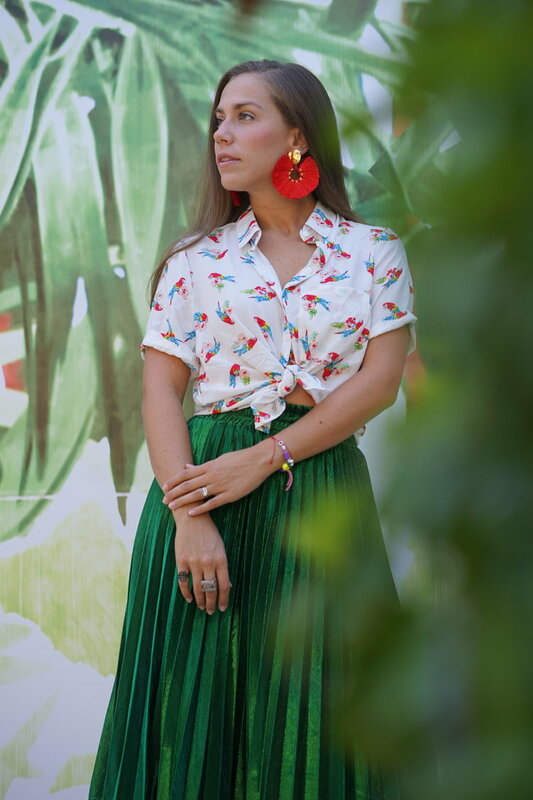 To celebrate my birthday I decided to do this post about tassels, the latest accessories trend this summer and the star of my current collection. 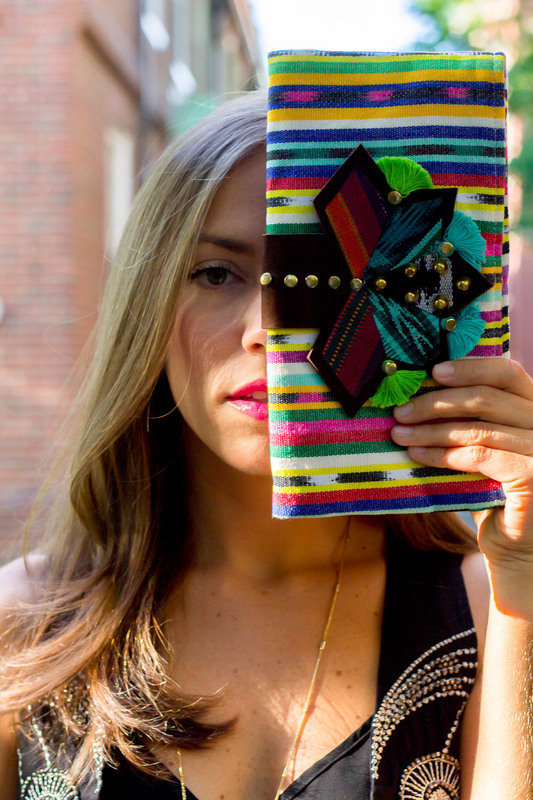 "Tassels" are a small detail that gives life and joy to your look-of-the-day. Get inspired! Para celebrar mi cumpleaños quise hacer este post sobre pompones, la última tendencia en accesorios este verano y protagonista de mi actual colección. Los "tassels" son un pequeño detalle que le da vida y alegría a tu "Look del día". Inspírate! This is a comfortable and slightly sporty look, with which you could have an adventurous day without worrying about anything more than enjoying! Whenever we have time, we go to a quiet place with sea view and enjoy a special session of yoga family. Even my four-year-old little sister is part of the group. It's great! A day that for many has been created for purely commercial purposes but for me it is THE DAY to remind people I love most how special they are to me and the important place they have in my heart. HOW TO: Cuff your fav jeans.